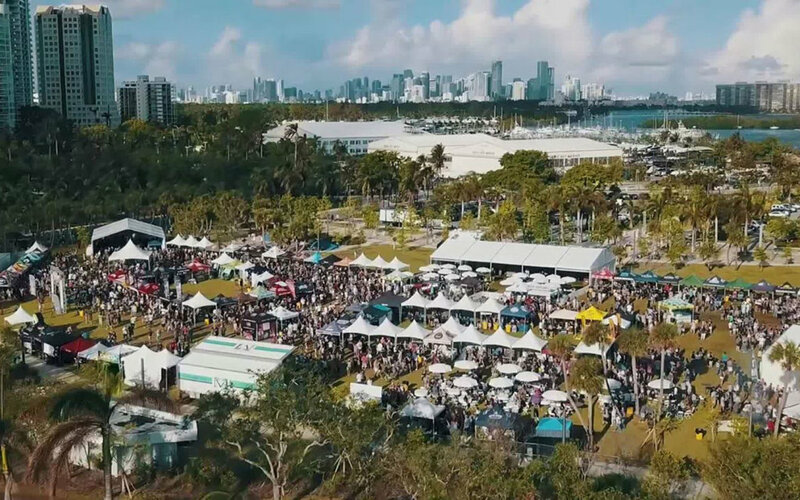 Miami kicks off BBQ season for the whole family back in the Grove at Peacock Park with Grillin N Chillin 2019! Entry to Grillin N Chillin is FREE - RSVP for a free drink today! Pick up a Chill Pack! Purchase 4 drinks for ONLY $20*! Save $40+ dollars when you buy a Chill Pack ahead of time. Hurry, only 500 Chill Packs available! Miami kicks off BBQ season for the whole family! Whether you're craving backyard BBQ spare ribs, southern brisket or mouth-watering pulled pork sandwich, Grillin N Chillin has the best sun-kissed recipes from across the country. Celebrating its 7th anniversary, Grillin N Chillin is now located in the beautiful Peacock Park in Coconut Grove. Come Grill and Chill with us at our full-blown countryside barbecue in Coconut Grove, Florida. The Kitchen Lab & BBQ Rib-Off - South Floridas premier pitmasters take the stage as they smoke the competition at the Grillin N Chillin BBQ Rib-Off. Hot Dog Eating Contest- Enter to compete in an all-out hot dog eating contest for a special prize. Mac N Cheese Competition- Chefs and Mac N Cheese connoisseurs will be competing to see who makes the BEST mouthwatering mac and cheese in south Florida. The Pit  our pop-up BBQ-infused sports bar complemented with our live music lounge. Hot Dog Zone - we love our pups! Bring your furry friends to Grillin N Chillin where they can enjoy a playground and treats just for them! Lost in the Sauce: The biggest sauce bar youve ever seen! Going Green: Grillin N Chillin is moving towards Zero waste! We will have recycling, NO straws, and compost onsite! Family Fun Zone: Bounce houses, mazes, and entertainers for your little carnivores. Miamis Biggest BBQ Selection - BBQ, beer, sides, and dessert are available all day long from variety of different vendors, ranging from Korean BBQ, Memphis, Texas or Kansas City barbecue to the well-known Brazilian Churrasco and Argentine Parrillada.